Thimo Schwenzfeier, show director of Neonyt and head of marketing communications Textiles & Textile Technologies at Messe Frankfurt, is an expert for textiles at Messe Frankfurt. Since 2013 he is pushing the development of the business segment Textiles & Textile Technologies. In our interview he is answering questions about the new hub concept Neonyt. How did the idea of joining several sustainable fashion shows and setting up a completely new concept arise? Our mission is to consistently adopt future-oriented approaches for the fashion industry. To achieve this, we always continue our own development. Neonyt is a synthesis of the two successful shows Greenshowroom and Ethical Fashion Show Berlin. The hub comprises far more than the two previous shows. It was about time to find a new suitable name for this enlargement, thus also facilitating communication. The promise of sustainability made by Greenshowroom and Ethical Fashion Show Berlin remains the same. How did the name NEONYT come up? What does it mean? The coined word Neonyt derives from the old Greek word “neo” (meaning ‘new’, ‘revolutionary’) and the Scandinavian word “nytt” (meaning ‘new’). So, basically it means “the renewed new”. This reflects the unparalleled process of transformation which has occurred in the fashion industry – from digitalization, influencers to new sales and communication channels, and of course the major trend of sustainability. We are dealing with these topics very actively. Our aim is to challenge the fashion industry and to bring about the change towards more sustainable fashion in cooperation with our stakeholders. What can visitors expect from the show in January? They can expect three days full of inspiration, fashion and networking. All around the sustainable fashion brands and their progressive autumn/winter 2019/20 collections unfolds a progressive supporting programme with future-oriented conferences, the design thinking format Thinkathon, the innovative Neonyt fashion show within the scope of MBFW as well as showcases and the influencer and blogger event Prepeek. This season, we will focus on the topic of water – ranging from urban outdoor wear produced from marine litter and algae at Ecoalf, swimwear made from recycled fishing nets at Piwari through to provocative discussions about “We are water, oceans, rivers — and pollutants. Where do we go from now?” with Bye Bye Plastic Bags Bali, Greenpeace, Inditex, STOP! Micro Waste/Langbrett, WWF and the keynote speaker Clare Press of Vogue Australia. It is going to be exciting! 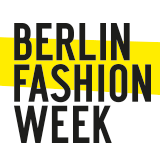 Sustainability plays an important role within the context of the Berlin Fashion Week and in particular for the NEONYT show, this also includes the Premium Group #FASHIONTECH conference. Do Fashiontech and sustainable fashion present different “approaches to the future” or will it be possible to reconcile these topics? The two major trends do not only complement each other perfectly, they could simply not exist without each other. For example, digital technologies help reduce material consumption in upstream stages of value creation, while improving resource efficiency in production processes. It is precisely this interaction of new technologies and sustainability that our multidisciplinary conference format Fashionsustain will be dealing with on 16 January 2019. The conference will take place at Kraftwerk where we will reconcile these “approaches to the future” – according to our motto: The change of fashion is now! The global hub neonyt is replacing the sustainable and successful trade shows Greenshowroom and Ethical Fashion Show Berlin. We asked four question about the january's edition.